At Dymond we have the in-house resources and the necessary skills to turn your ideas into finished products of the highest quality. 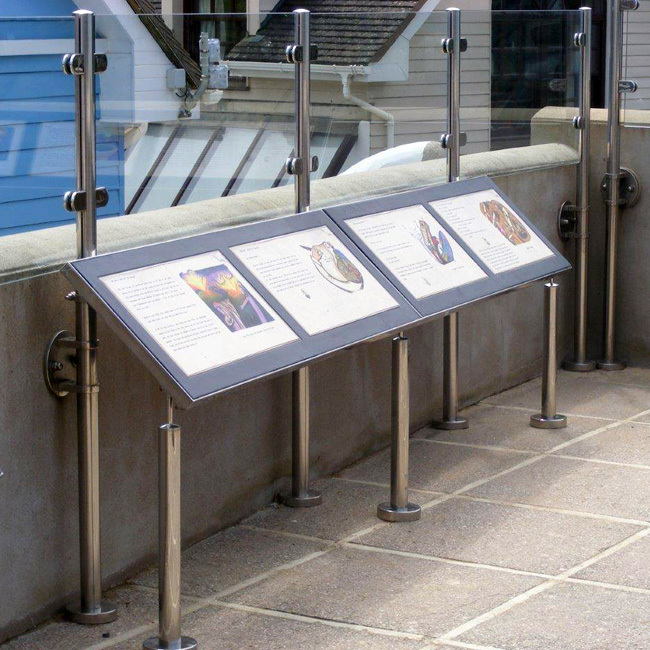 For many years we have successfully provided this custom service for our clients, designing and fabricating everything from innovative game bird feeders to highly specialised retail display units. We can help you refine your conceptual ideas and engineer your detailed designs, producing a proto-type for production. We are experts at finding ways to improve product quality, functionality and aesthetics whilst minimising costs – all assured by our quality management system. In addition, we provide a comprehensive range of precision fabrication capabilities on-site in our Barnstaple-based factory. With all these facilities under one roof in North Devon we can swiftly and efficiently manufacture, finish and supply a wide variety of custom metal products, fabricated from mild steel, brushed stainless steel and aluminium sheet and tube. The range of items we manufacture for our customers is diverse. Here is a list of the kinds of products we make for clients, but it really is just the starting point – if you have a product in mind don’t hesitate to contact us. So if you have a requirement for bespoke metal products, made from mild or stainless steel, or aluminium, in batches of 10 up to 1,000+, please get in touch. Call us now on 01271 372662 to discuss your custom metal work requirements, or email your drawing to info@dymondengineering.co.uk/ and we’ll advise you on the best way to make it!